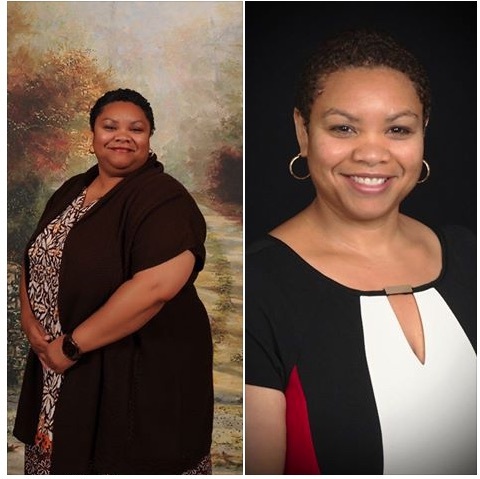 My weight-loss has been a rollercoaster for over 20 years. I have tried every diet you can image yet I have never been able to sustain my weight-loss or my weight loss goal for over a few months. 10 months ago I was at the highest I have ever weighed. I was very close to 300 pounds. I was pre-diabetic and hypertensive. I could not stand for long periods of time or walk without my back hurting. I would never attempt to walk up stairs because after just one or two flights I felt like I was having a heart-attack. I couldn’t breath and that was so scary. The cost alone almost changed my mind but we needed something that would work. The fact that for 16 weeks we would have to survive on meal replacements was daunting and the Life-time commitment was a bit scary because of my previous failed attempts at weight-loss. Thankfully, my husband and I agreed that this was the best program for us and we needed to finally invest in our health so we jumped in with two feet. The Active Phase, (16 weeks) was not as hard as I imagined. The first week was quite challenging and the hunger was a bit overwhelming at times but I got through it. I drank the recommended gallon water and stuck to the eating plan of every two hours. I joined the gym and added a workout routine which included 1 to 2 hours of cardio. After the second week, the results were simply amazing; I was dropping over 5 pounds a week and I was never hungry. The skills taught and the support found in class was extremely helpful. The ability to sit in a room and share experiences with people who are going through the same struggles was refreshing. To enhance our weight-loss, my husband and I decided to hire a personal trainer. I think this was pure genius because she introduced strength training and explained how to get the most out of a workout. This was an eye opener because I was doing at least 2 hours of cardio on weekdays and more on the weekends. She taught us intense cardio for 15 to 20 mins then 30 to 40 mins of 6 – 8 sets of strength training is a better workout routine. The Transition Phase was the scariest by far because this is where you start to add in food. Week by week you add in a meal to replace one meal replacement. This phase tests your knowledge of nutrition and your commitment to tracking and monitoring your progress. Tracking your food is one secret to success in weight-loss. If you don’t know what you are eating, how can you balance your nutrition? I track my food and progress in Sparkpeople and my husband uses Myfitnesspal. In this phase my weight-loss did slow down a bit but I was still losing 2-3 pounds a week. I was still very happy with my progress. The Lifestyle Phase (my current phase) is the hardest and most challenging phase because now is the time for maintenance. If you think losing weight is hard try maintaining it. The Lifestyle classes are really helpful because you meet other participants who have maintained for years and some who have stumbled but got back up. Their stories of successes and struggles really bring home the lifetime commitment of health and fitness (Weight-loss Management). The licensed Nutritionist is also a big help because she reenforces the knowledge and skills we obtained during the Active and Transition Phases. My overall results are astounding. In 10 short months I have lost over 92 pounds with the program. My total weight loss is 114 pounds and I am down 8 dress sizes. I would have to say this program is quite successful. Stick to program plan. Try your best not to cheat. Build a support group. Having a support team is key and I think my husband and I have an advantage because we are a team. He has lost over 136 pounds and still losing. Posted on September 28, 2015, in Health and Fitness and tagged Kaiser Weight Management, Losing Weight, Weight loss. Bookmark the permalink. 7 Comments. Your before and after are amazing. Obviously, your body has changed tremendously, but what stands out to me the most is your confidence. I can see the difference in your smile! That’s so great that your plan worked so well for you! Congrats on your weight loss! I am also on Spark People and have been a member there for 16 months now, and have lost 120 pounds so far. I still have a way to go, ideally 45 more pounds, but I love Spark People.